Witness the charts below that show how the current statistical “recovery”, benefiting the very few by inflating the price of risk assets, has come at the expense of the very many. Almost nobody is a mental health facility because there is no funding for mental health facilities. The poor and mentally ill are homeless or locked up. Most cruelly, the seriously mentally ill are locked in solitary confinement because they are unable to peaceably exist in general population. Often in for-profit prisons, who make money for as long as they are detained, and who are legally allowed to detain them for as long as they deem them to be a threat to society, even after their actual sentence is served. Indefinitely, even. 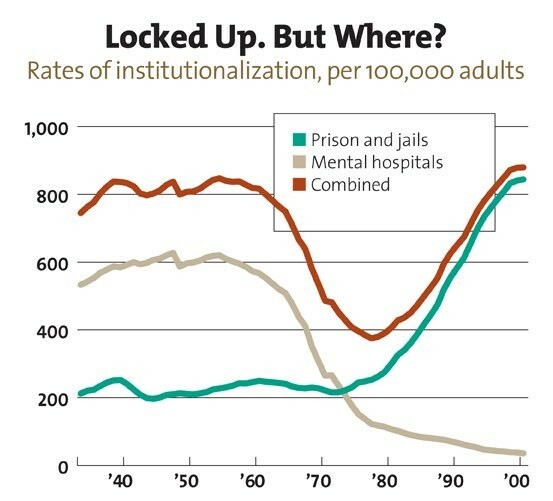 Even excepting the fact that almost 1 in 1,000 Americans is institutionalized, over half are functionally broke, with less than $1,000 in savings, unable to withstand any sort of moderate unsuspected cost, be it car repair, medical emergency, or otherwise. Aggregate statistics and averages are so misleading as to be meaningless. Most Americans are in desperate straits, living paycheck to paycheck at best, and suffering day-to-day more often than government-cited numbers at all suggest. The common suggestion, which we agree with, is to have at least 6 months of expenses in savings in case of an emergency. 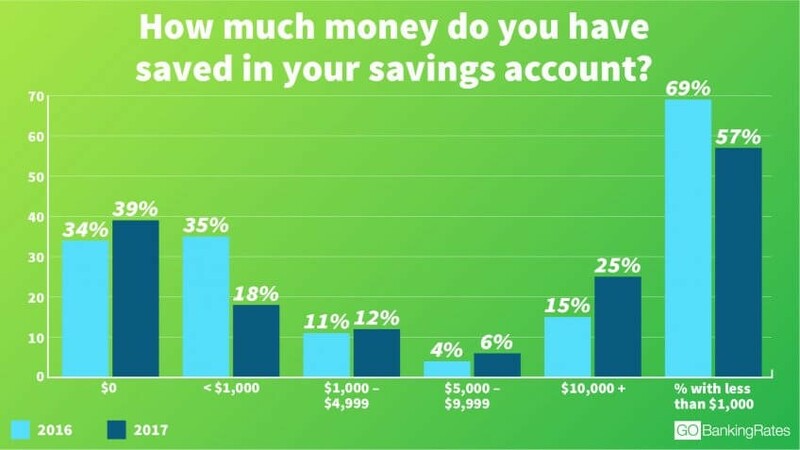 This stat that 39% have no savings lines up perfectly with the stat we discussed in a previous article which showed 41% of Americans don’t have the cash to deal with a surprise expense of $400. You can’t deal with that type of expense without money in a savings account. This stat is more dire than the $400 Fed survey showed because that one was improving. This chart shows 5% more people in 2017 don’t have money in a savings account than in 2016. There’s no question low interest rates may prevent some people from carrying a savings account even though they have capital available. The comparison between the two years adjusts for that since rates were low in both years. Those with more than $10,000 in savings increased from 15% to 25% giving us an example of how the percentage of people in the “upper class” is growing. 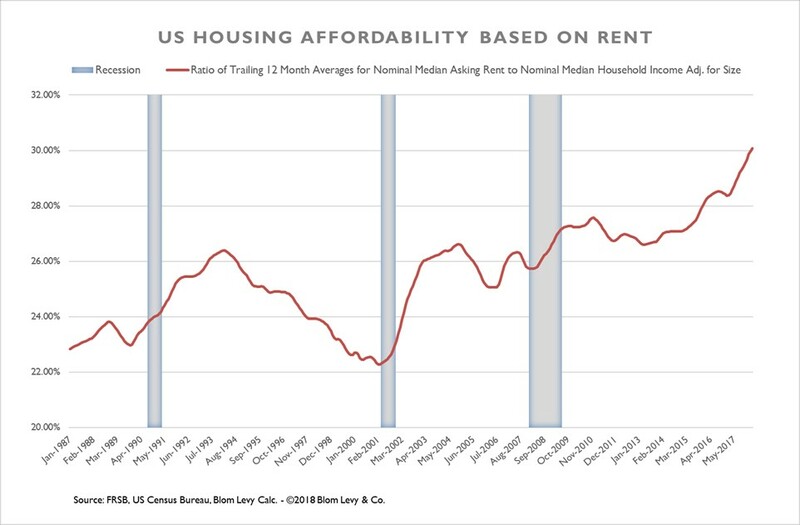 The economy has improved for those in the top half of income earned, but for the poorest Americans the situation is dire as they face a housing affordability crisis and are living paycheck to paycheck. 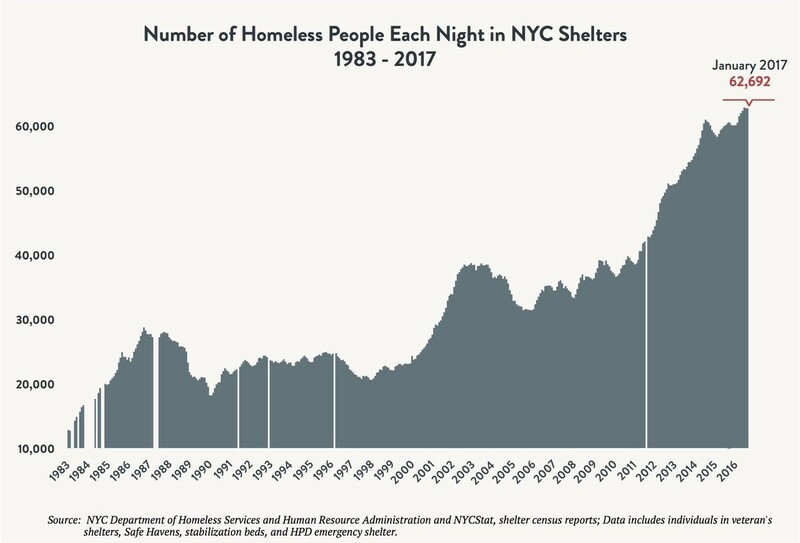 Homelessness, the percentage of people with $0 in a savings account, and incarceration are all major issues. These are the problems ignored when people only focus on the asset value appreciation in America which only helps those who own assets.